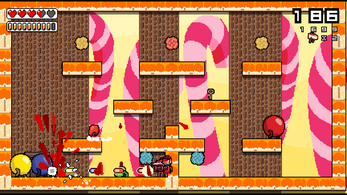 Cake Kills Candy was made in a week. 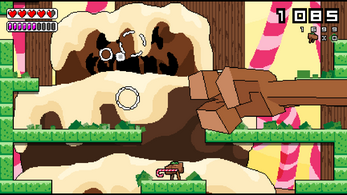 Its an arcade platform shooter with procedural generated levels. Stomp and shoot enemies. Score points for getting the key to the door. Bonuses for health and not shooting in a level reward you for strategy over dumb shooting. High score is kept, great with a controller and there are a slew of settings. 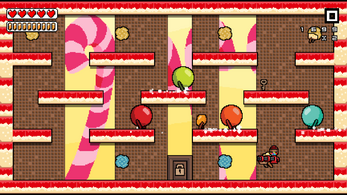 Made for the Hamjam 2 with a cake theme. Then a day before the game jam ended I noticed a different game jam with a candy theme. Lucky for us we always had the idea of cake kills candy. Two week long game jams with one game. 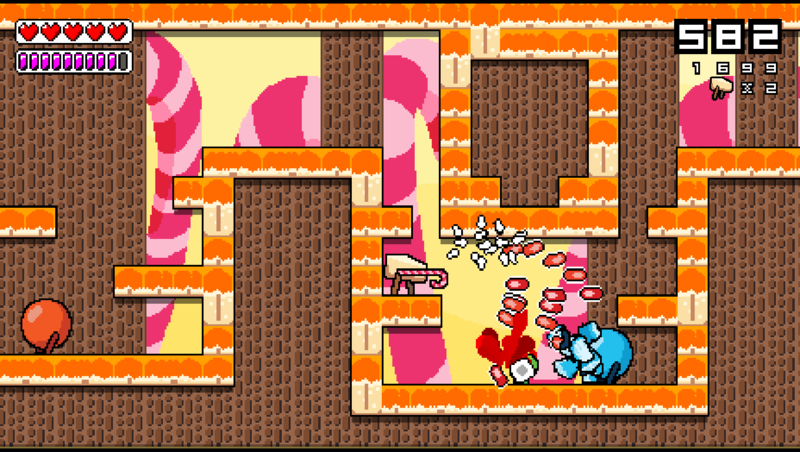 - Added huge boss fight. - Added more sound effects. - Modified a lot of the game to enhance minor details. 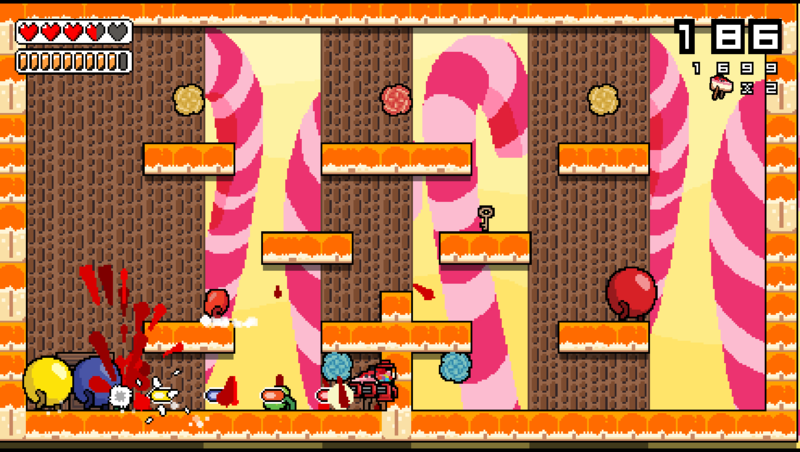 - Modified enemy parts and enemy jam. 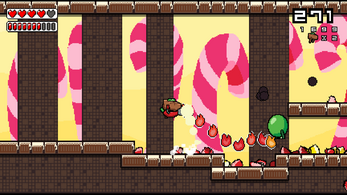 - Modified candy cane shotgun to be more useful. - Modified level system to generate easier maps in the starting room. - Modified music volume so the sound effects stand out more when volume and sound levels are at even percentages. - Fixed an issue when on rare occasion the enemies falling to the ground would snap to the ground rather than fall to the ground. - Modified how the backgrounds are generated to hopefully fix an issue. - Added a low bounce stomp if you hold down when hopping on an enemy. - Fixed title menu to be more consistent and always show tiles rather than the occassional background. - Fixed an issue where the player sprite would appear several times instead of once. - Added a method to turn off controller support in the options to comply for a game jam. The game can still auto detect if you are playing on a controller or keyboard. - Added a different HUD for life and weapon ammo..
- Fixed a major crash caused by incorrect level loading (this would happen once for each new player). - Fixed doors appearing too high up on larger levels. - Modified temporary file cleanup. - Fixed a specific crash in windowed mode where the game would somehow forget the levels. - Fixed visual issue with the K in the font. - Added loading screen. Depending on your computer's processor it will be either a blink or a wait. - Added larger variety to floor tile sets (wider and taller tiles). 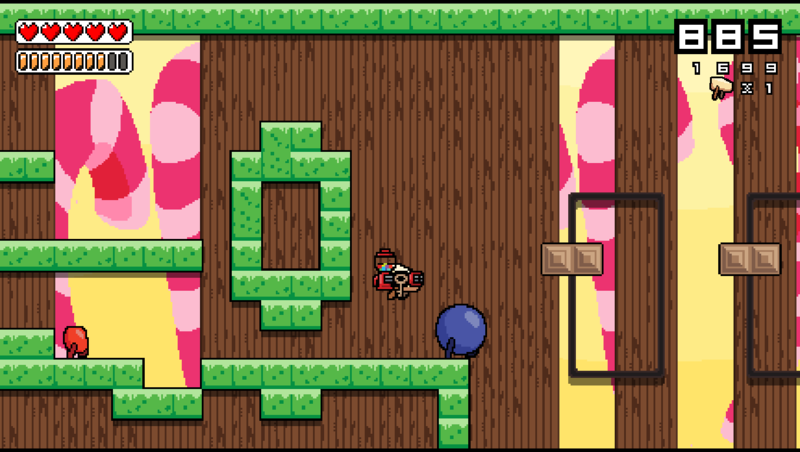 - Fixed background tiles not showing up on the first screen of larger rooms. - Fixed negative point bonus. - Fixed candy cane text. 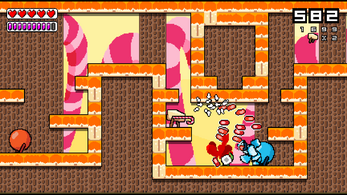 - Fixed rare issue where enemies could damage the player while being pulled into the door. - Modified the single room generation to prevent a more challenging room from appearing first. - Fixed keys from spawning too high to jump in the larger maps. 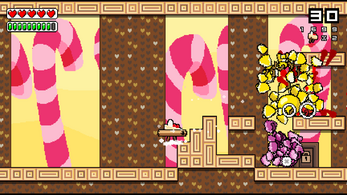 - Added more diversity with the tilesets just before the deadline. 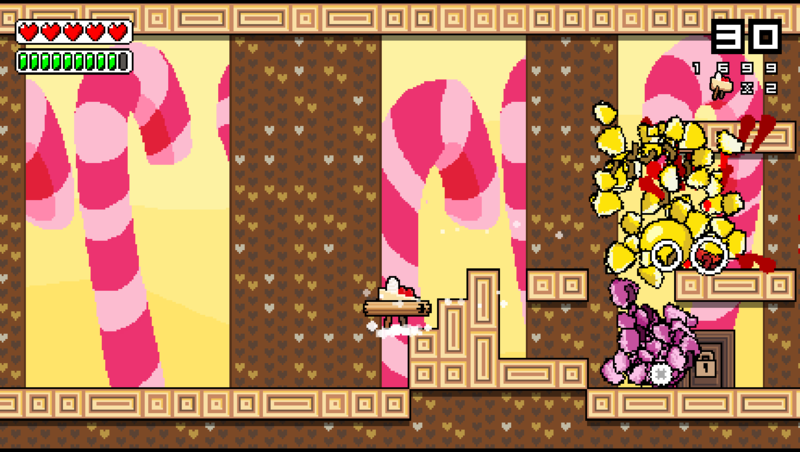 There are now 7 tilesets. - Removed an exploit to switch weapons. - Fixed a crash with adjusting music volume in the options. 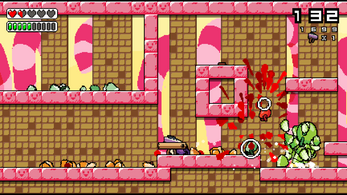 - Fixed a rare crash relating to how a level is generated (hopefully). - Fixed how the game cleans up temporary files. 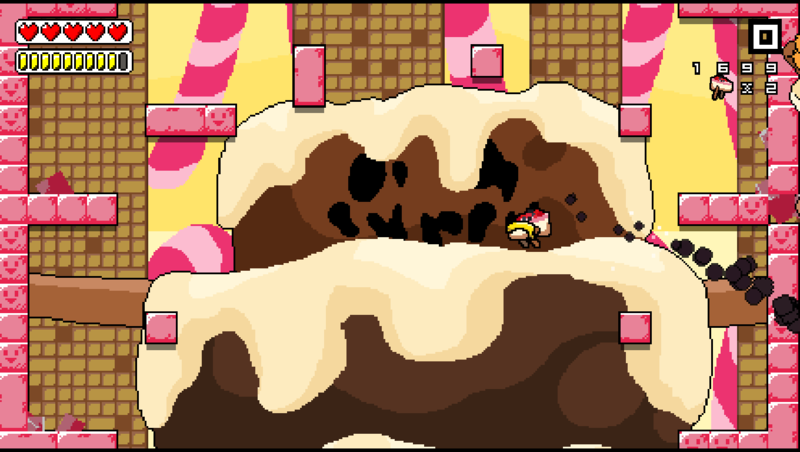 I thought your game was pretty...sweet! Sorry. Easy pun. I made a video of me playing it so I thought I'd share it here! I hope you continue to update and improve the game, as it's a lot of fun and I'd like to see more! Hey hey there. Thanks for enjoying the video and the easy pun! There should be a new update coming soon. Nothing major just fixing up stuff I noticed after the game jam like sometimes the background tiles don't generate and there is a larger variety of floor tiles. Dull stuff. Time to watch the video. 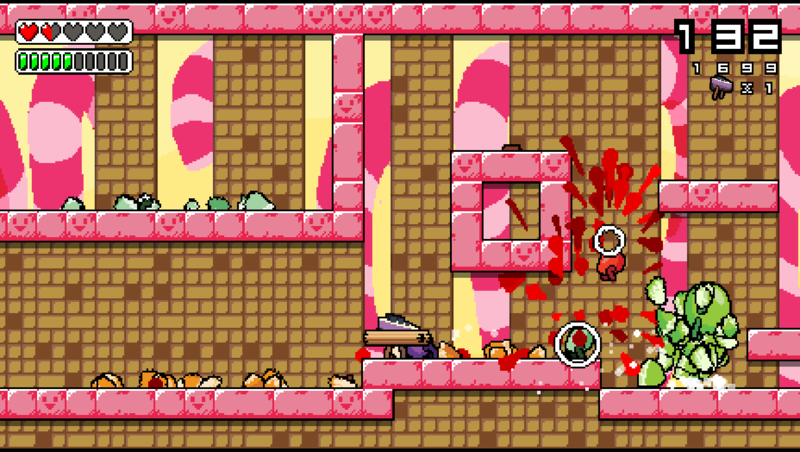 This game takes the Cake in the indie Ham Jam 2! 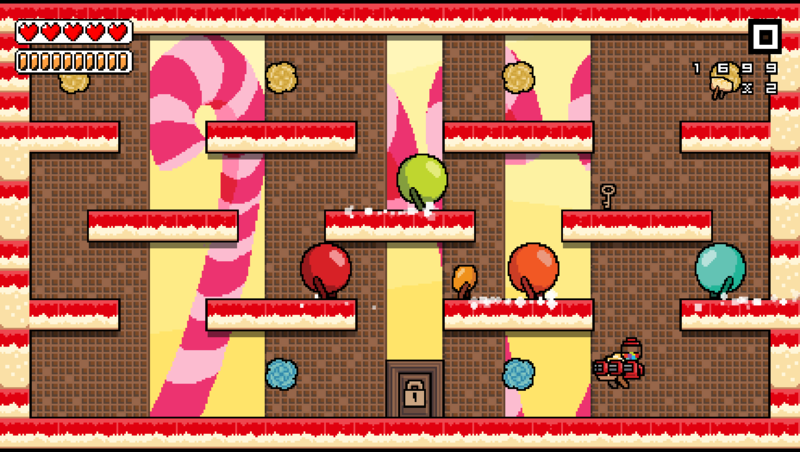 Quick and fun game-play, colorful candies, and fun tunes ice off this entry. Grab a mountain dew, snort some sugar sticks, and wash down some gum drops. It's all the fuel you will need to assume the role of the cake hero and complete the agenda to annihilate those pretty n sugary fiends.